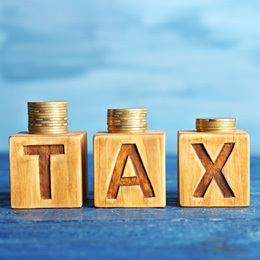 The newly implemented U.S. tax law has clear and obvious benefits for large businesses, but for small business owners, the benefits are not evident. Small and medium businesses (SMBs) are unsure of how to take advantage of this new tax legislation, and it’s the duty of every company in the equipment finance industry doing business with SMBs to rectify that. While there are many articles about tax reform, few highlight the specific areas where small business owners can reap significant benefits. Almost all equipment finance companies are aware of the new benefits and should be promoting the newly implemented version of Section 179 of the tax code every time a deal is funded. To start, let’s break down the ways SMBs can win under the new tax law. A recent study shows that up to 50 percent of SMBs are not even aware of this tax regulation, never mind how to use it. For business owners to consider taking advantage of this new law, it’s important to discuss what it entails. For most small business owners, the new tax law is not as sweet as expected – unless they’re buying equipment. While the law lowers the corporate tax rate from 35 percent to 21 percent, very few small business owners actually pay corporate taxes. Instead, most small businesses, including S corporations, LLCs, partnerships or sole proprietorships, ‘pass-through’ their income to be taxed at their personal income tax rate. Lower corporate taxes will have little to no impact on their bottom line. Equipment Finance Advisor recently published an article with more background on the law. Small business owners should also refer to this helpful infographic from the National Federation of Independent Business. The most valuable part of tax reform for small business owners is Section 179, which allows businesses to write off equipment expenses. The new Section 179 doubles the write-off for equipment from $500,000 to $1,000,000 for 2018 and beyond, and allows small business owners to depreciate up to 100 percent of new and used equipment in the first year. Even companies leasing or financing equipment can still take full advantage of the Section 179 deduction. This provides a real opportunity for small businesses, whether you’re a restaurant, flower shop, landscaper or other business starting or expanding your operations. For example, consider a chef opening her first restaurant. She finances $820,000 in equipment for the kitchen and bar, TVs and audio, signage, point-of-sale (POS) systems, furniture and artwork. Under the old Section 179, the chef could only write off the cost of her back of house equipment – about $500,000. Now, she can write off 100 percent of the equipment for her restaurant, better manage her cash flow and begin serving customers sooner. It’s hard to argue with the benefit the revised section provides for small business owners in need of equipment. SMBs should strongly consider taking advantage of this deduction to reduce tax obligations and preserve cash flow for business operations. Rarely does an industry have an opportunity to play the part of a hero. Think Paul Revere and his midnight ride, or Pheidippides and his run to Athens after the battle of Marathon. With the new tax law, the equipment finance industry has a real opportunity to be the bearer of good news. It’s imperative that the equipment finance industry explains new tax benefits to SMBs, and advocates on their behalf. Imagine if the industry stamped all equipment deals with the notice: “ATTENTION: THIS TRANSACTION MAY BE BENEFICIAL TO YOUR ECONOMIC HEALTH!” You may laugh, but in all seriousness, a simple claim stamped on every equipment transaction would make the industry a hero. As great as it is to deliver the good news about tax reform, the industry’s role in assisting SMBs is much more than that. Consider “The Principle of Duty”, described in David Selbourne’s political philosophy book by the same name. In his book, Selbourne says he successfully offended everyone – that regardless of whether you are on the extreme right in support of market-driven forces and the efficiencies in “privatization”, or on the extreme left and believe the good of many drives a need for socialization, each of us has a civic duty because we share the rights and privileges that come with being citizens. Just as citizens have a duty to themselves, their family, community and country, as corporate citizens, we have a duty to our company, customers and industry. Notifying SMBs that they qualify for significant benefits under the new tax law is such a duty. A duty we should gladly accept not because SMBs deliver significant benefit to our businesses, communities and the economy, but because it’s the right thing to do. By educating SMBs and acting as a reputable tax reform resource, the equipment finance industry will be an ally for borrowers. This will not only bolster relationships in the present, but lay the groundwork for a mutually beneficial partnership in the future. Vernon Tirey, a 30-year veteran in enterprise automation solutions, is Co-founder and CEO of LeaseQ, a marketplace bringing automation and efficiency to small business borrowers looking to finance equipment to start and grow their businesses.